Limit 1 per person. Valid on 2 Chicago-style spit shoe shines. Both shines done in 1 visit; please bring 2 pairs of shoes. New customers only. Promotional value expires 365 days after purchase. Give your shoes a new sheen when you use this deal for 50% off two shoe shines from Finest Shoe Repair in the South Shore ($10 value). The experts here will provide a Chicago-style spit shine for two pairs of men's shoes. This traditional Chicago-style shoe shine uses neutral wax and water to provide a glossy shine to your boots, loafers or oxfords. Enjoy high-quality work from this well-established shoe and leather repair shop. Oscar, owner of Finest Shoe Repair, continues the tradition of his father by offering the highest quality services and by remaining involved in the community. 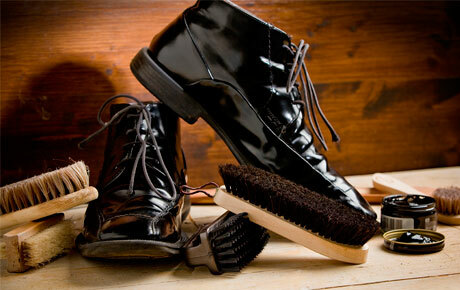 Keep your look polished with expert shoe shines.